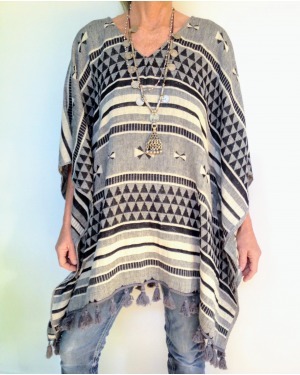 Our favorite summer light - weight pom pom kaftan is perfect for breezy summer days. 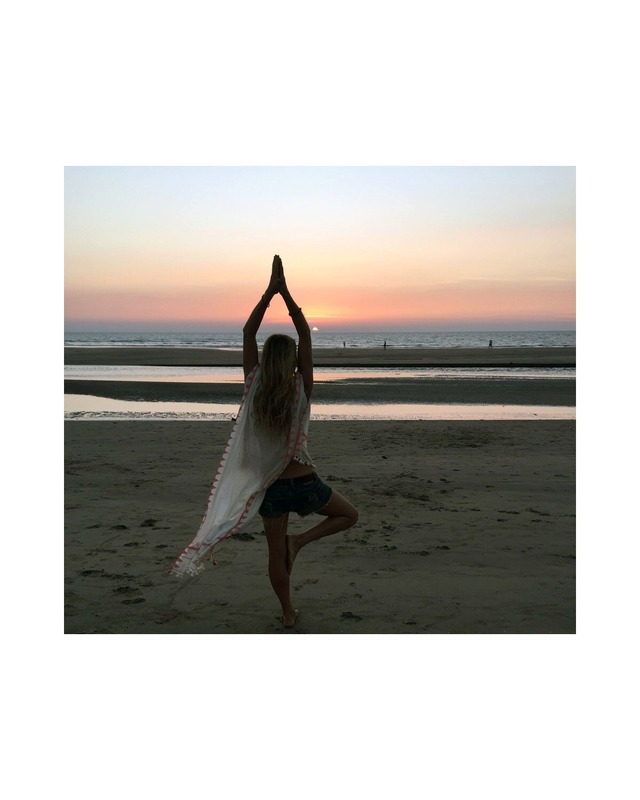 Style over that new bathing suit, or get that boho beach vibe by styling with some denim shorts. 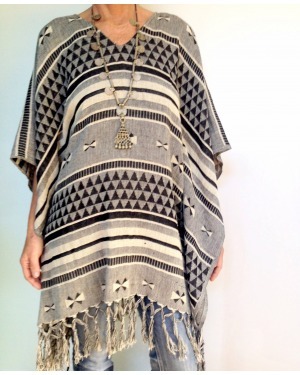 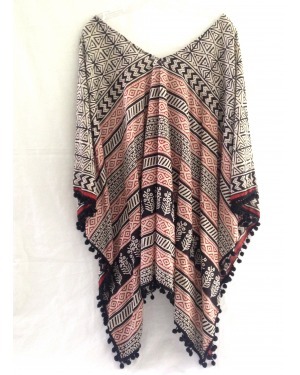 Beautiful free flowing light - weight woven cotton kaftan with pom poms. 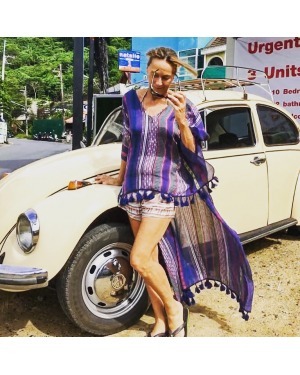 V neck front and back with winged like sleeves, high front low back in length Pefect over a bikini or pair with some funky jeans for a bohemian feel.